Take two things you adore and mix them together and what do you get? 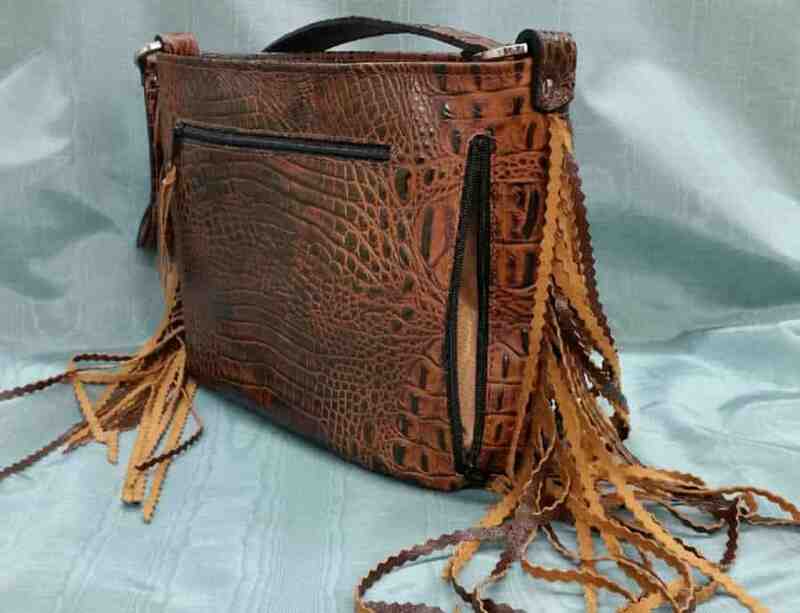 An embossed crocodile in Butternut and Spotted Hair on Hide Concealed Carry Purse with lots of crinkly fringe. It’s black, it’s brown, it’s white, it’s adorbs! Thick, curly hair on hide gives this beauty a magical feel. 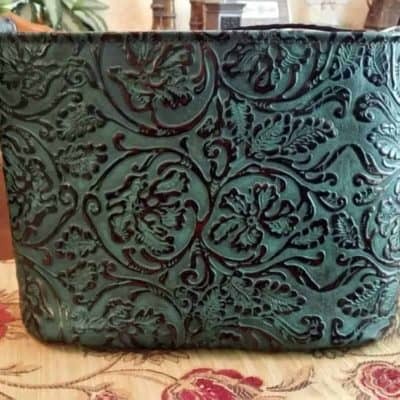 Whether with boots or heels, this purse tops the charts in fashion. Available in Petite Classic only. And very limited! 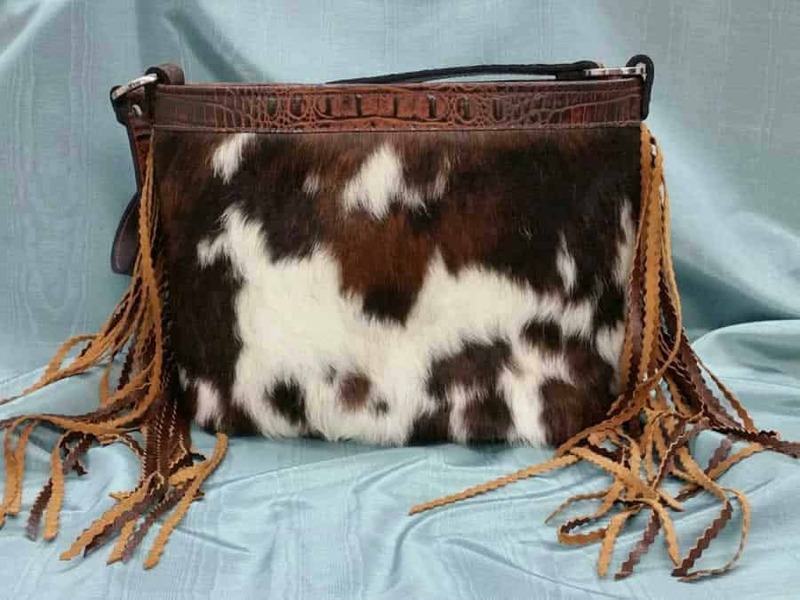 Our crinkle cut fringed Butternut and Spotted Hair on Hide Concealed Carry Purse is available in petite only, with either a left or right hand draw. Hair on one side, embossed croc on the other, yet thick and sturdy, the quality of this leather and hide are sublime to both feel and wear. 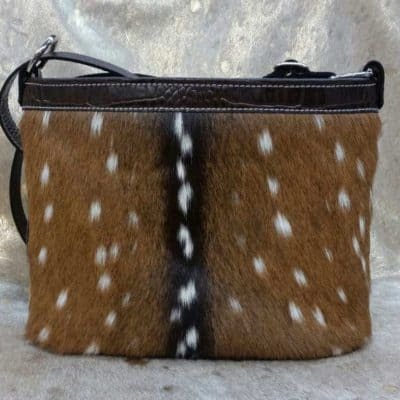 Due to the variations in hair and hide, every Butternut and Spotted Hair on Hide Concealed Carry Purse will vary slightly in look and color. We do not keep these in stock, and will make to order. Crinkle, hand cut fringe in the design of our Classic style concealed carry purse gives it a trendy new update. 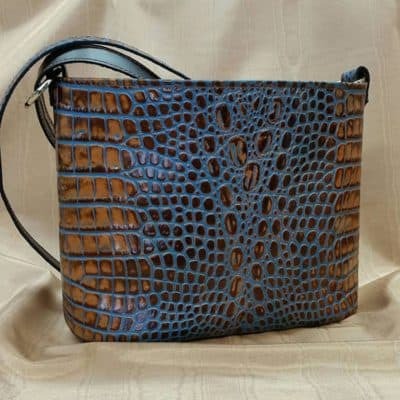 Every Classic style purse has a zippered concealment pocket for your handgun with an included adjustable holster. The conceal and carry pocket and adjustable holster have heavy duty, industrial strength Velcro to ensure your gun stays secure and protected until you need it.